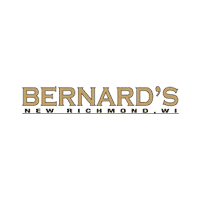 By submitting this form you agree to be contacted by a Bernard's Chrysler Dodge Jeep Ram staff member. New vehicle pricing includes all offers and incentives. Tax, Title and Tags not included in vehicle prices shown and must be paid by the purchaser. While great effort is made to ensure the accuracy of the information on this site, errors do occur so please verify information with a customer service rep. This is easily done by calling us at ​877-319-5859 or by visiting us at the dealership. *To avoid misleading pricing we display the MSRP or the maximum savings every common consumers qualifies for in our market along with standard rebates – including Finance Cash offers. Be sure to reach out to us to CONFIRM AVAILABILITY AND PRICE and we will ask a few questions to see if you qualify for other unique rebates. We can then provide you with an exclusive price that may include specials like Trade-In Bonuses, Club Rebates, Loyalty/Conquest Programs, Affiliate Pricing, Small Business Advantages, or other rebates specific to you. DO NOT BE MISLEAD by other stores promising lower prices and be sure to give us a chance to match or beat any offer so you get. We believe that you will find our pricing to be clear, low, and the best overall around!